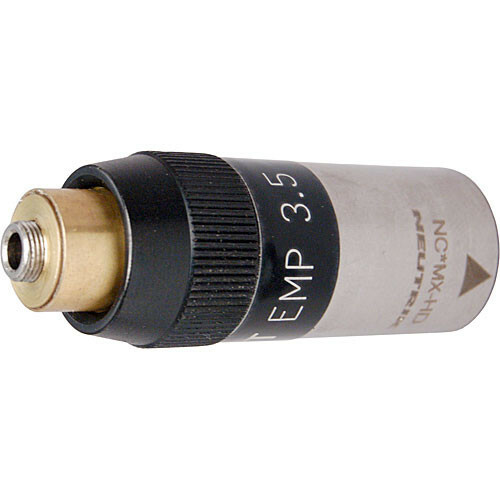 The EMP3S Electret Microphone Power Adapter from Ambient Recording allows hardwired use of a lavalier mic by converting phantom 48V to 5.6V electret power, and outputs an electronically balanced signal with low impedance. This adapter is designed for use with AKG microphones and converts a 3-pin Switchcraft connector to a standard 3-pin XLR male connector. Length 2.1" (53 mm) approx.